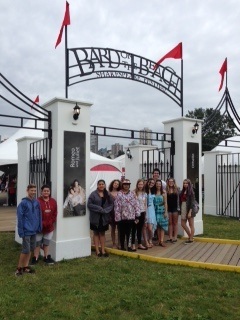 of eleven students and two staff members from SKSS joined students and teachers from Norkam on a one day bus trip to BARD ON THE BEACH in Vancouver. The performance we watched was an outstanding production of Shakespeare's ROMEO AND JULIET. 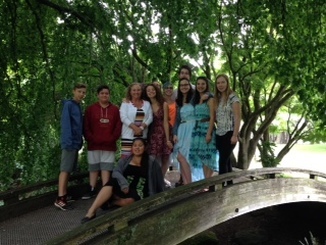 This foot bridge is hidden in the trees in Vanier Park. 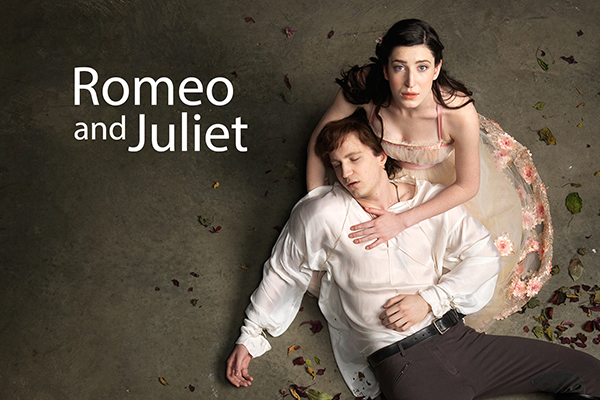 Andrew Chown as Romeo and Hailey Gillis as Juliet. 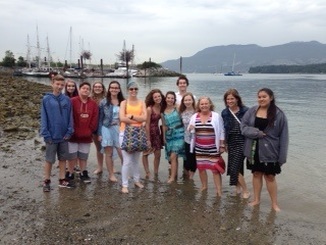 To commemorate "World Ocean Day" we wet our toes in the Pacific at Kits Beach.